There are times, however, when what is wrong with your vehicle is beyond the scope of your knowledge, even if you are following a video. 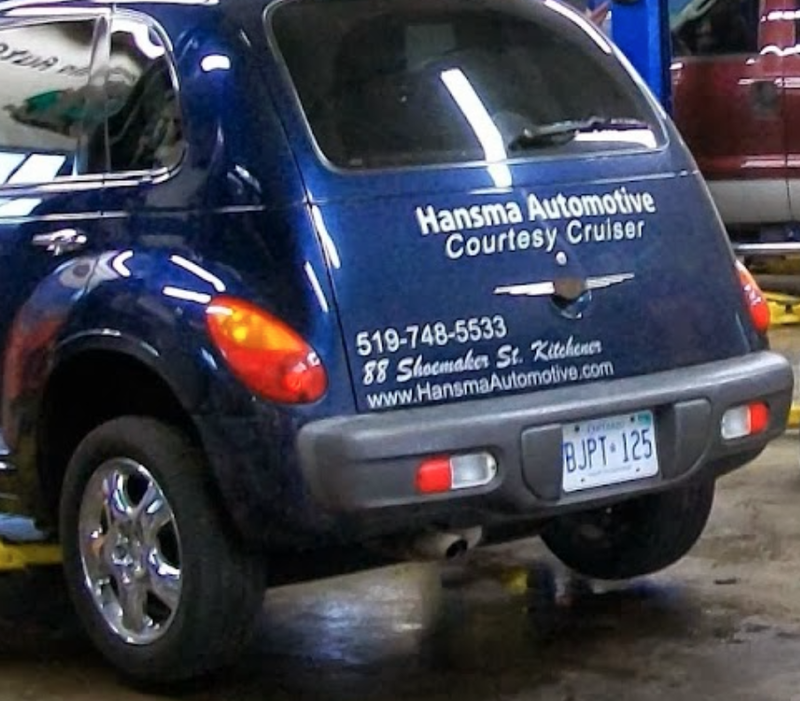 For those instances, you can trust the expert mechanics at Hansma Automotive to fix it right. Contact us today. Chris Fix has over 1 million subscribers and we're not surprised. His YouTube channel is full of helpful and informative videos that can help the do-it-yourself mechanic with almost any car repair. His videos are logically categorized to help you easily find what you are looking for and each category contains numerous videos on repairs for that area of your vehicle. The categories include Brakes, Engines, Fluid Changes, Electrical, Suspension, and Maintenance, just to name a few. Here is one of his videos specifically geared to beginners who have never changed their oil before and would like to give it a try. For example, the video below tells you what to do if the fuel gauge reads wrong after you have replaced the fuel pump. We really like the Eric The Car Guy channel because it covers a wide range of topics divided up into series of videos. We especially like his helpful series of "Quick Tips" which include a wide variety of car repairs from simple to more complicated. Some of the videos in this series include how to clean a throttle, how to diagnose a car that won't start, and how to replace a front wheel drive axle. Other series include Salvage Yard Hacks, Tips, and Safety, and The Fairmont project where he does a series on what it takes to build a fast, reliable street car. It also helps that he seems to be a really nice guy as evidenced by his "Fixing It Forward" series where he actually fixes, free of charge, vehicles owned by people who cannot afford to get them fixed. What a great guy! Click on the video below from Eric The Car Guy on "How To Find A Vacuum Leak" to get a taste of what his YouTube channel is like and to meet Eric. This YouTube channel has some really interesting videos including how to repaint the letters on the sidewalls of your tires and clean bolt threads in seconds. It boasts a number of helpful series such as AC Repairs and Installs, Diagnostics and Tests, and Cylinder Head Installs. Here's a preview of their site with this video on how to burp your cooling system. Eric O. is the owner of a small auto shop in New York and he hosts one of the smaller mechanic channels on YouTube, but don't let the lack of hype and flash turn you away. This channel is full of practical and well-done tutorials on automotive repairs done by mechanics every day. This channel is great for those of you who really want to hone their mechanical ability. In the following video, Eric O. shows you how to change the transmission fluid and filter on a Toyota Camry. Even though this YouTube channel is not geared to the beginner, we had to mention it because the videos are so funny and feature Australian accents! This channel is touted as one of the world's top rated DIY automotive shows. According to the makers of Mighty Car Mods they are "Top Gear meets Wayne's World with a bit of Myth Busters thrown in." The following video is just a taste of what you will see if you tune into Mighty Car Mods. It shows you how to install bonnet struts (hood dampers). We hope you found our five best mechanic Youtube channel selections helpful. When you have a repair that you need a professional mechanic to help you with, come and see the experts at Hansma automotive. Hansma has always provided the highest possible quality vehicle maintenance and repairs, and the reviews of our services reflect that. View our testimonial page, or view our Google+ page with dozens of reviews. What's The Best YouTube Channel For Repair Advice On Your Car?